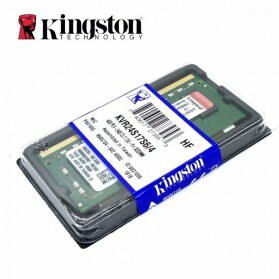 45 results found in "Kingston"
Ultimate offers an amazing write speed rating of up to 266X, making it one of our fastest cards to support high-end digital cameras and devices. It’s designed to deliver superior results with fast data transfer and support for continuous shooting. 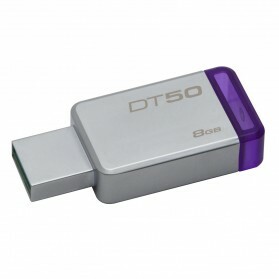 DataTraveler 100 G3 Flash Drive is compliant with next-generation port 3.0 specifications to take advantage of technology in newer notebooks, desktop PCs and digital devices. USB 3.0, Storage 16GB. DataTraveler 100 G3 Flash Drive is compliant with next-generation port 3.0 specifications to take advantage of technology in newer notebooks, desktop PCs and digital devices. USB 3.0, Storage 32GB. DataTraveler 50 adalah USB flash drive berukuran mini yang tersedia dalam beberapa kapasitas dari 8GB hingga 128GB. Memiliki desain tanpa tutup dimana bagian plug terbuat dari logan agar tidak mudah rusak. Menggunakan teknologi USB terbaru yaitu USB 3.1. With DataTraveler 101 G2 USB Flash Drive, budget-conscious users get a combination of useful features, large capacity (up to 128GB) and an easy way to store, carry or transfer data between computers and other devices. USB 2.0, Storage 16GB. 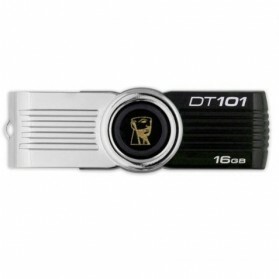 With DataTraveler 101 G2 flash drive, budget-conscious users get a combination of useful features, large capacity (up to 128GB) and an easy way to store, carry or transfer data between computers and other devices. USB 2.0, Storage 8GB. 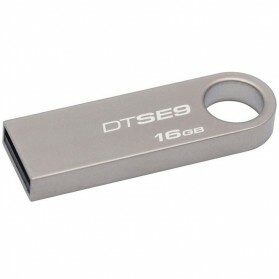 DataTraveler GE9 Flash disk is a stylish, ultra-thin drive with a 24-carat gold-plated casing. Its ultra-thin form factor lets you easily use several drives side-by-side in ports. USB 2.0, Storage 16GB. 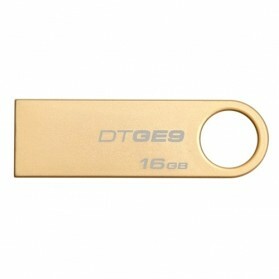 DataTraveler GE9 Flash disk is a stylish, ultra-thin drive with a 24-carat gold-plated casing. Its ultra-thin form factor lets you easily use several drives side-by-side in ports. USB 2.0, Storage 8GB. Kingston's DataTraveler G4 features USB 3.0 for quick and easy transfers of music, video and more. Its practical design and fashionable colors make it ideal for everyday use at work, home or wherever you need to take your data. USB 3.0, Storage 16GB. 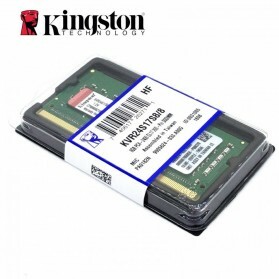 Kingston's DataTraveler G4 features USB 3.0 for quick and easy transfers of music, video and more. Its practical design and fashionable colors make it ideal for everyday use at work, home or wherever you need to take your data. USB 3.0, Storage 32GB. 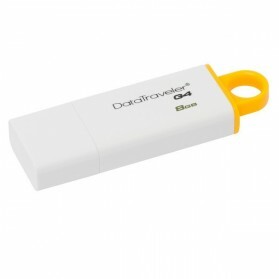 Kingston's DataTraveler G4 features USB 3.0 for quick and easy transfers of music, video and more. Its practical design and fashionable colors make it ideal for everyday use at work, home or wherever you need to take your data. USB 3.0, Storage 64GB. 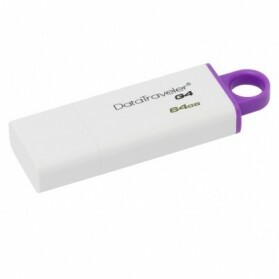 Kingston's DataTraveler G4 features USB 3.0 for quick and easy transfers of music, video and more. Its practical design and fashionable colors make it ideal for everyday use at work, home or wherever you need to take your data. USB 3.0, Storage 8GB. Kingston’s DataTraveler® microDuo Flash drives provide additional storage in a small, convenient form factor for tablets and smartphones that support the USB OTG (On-The-Go) functionality. USB Type-C, USB 3.1, Storage 32GB. Kingston’s DataTraveler® microDuo Flash drives provide additional storage in a small, convenient form factor for tablets and smartphones that support the USB OTG (On-The-Go) functionality. USB Type-C, USB 3.1, Storage 64GB. Provides additional storage in a small, convenient form factor for tablets and smartphones that support the USB OTG functionality. 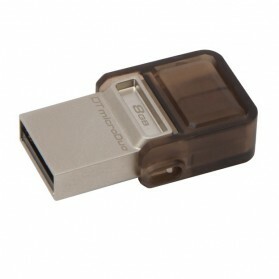 The USB OTG standard allows mobile devices to directly connect to supported USB devices. USB 2.0, Storage 16GB. Provides additional storage in a small, convenient form factor for tablets and smartphones that support the USB OTG functionality. 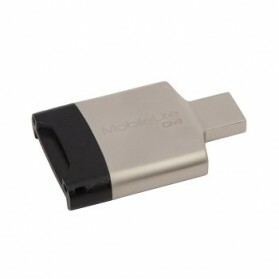 The USB OTG standard allows mobile devices to directly connect to supported USB devices. USB 2.0, Storage 8GB. Kingston’s DataTraveler® microDuo Flash drives provide additional storage in a small, convenient form factor for tablets and smartphones that support the USB OTG (On-The-Go) functionality. USB 3.0, Storage 16GB. Kingston’s DataTraveler® microDuo Flash drives provide additional storage in a small, convenient form factor for tablets and smartphones that support the USB OTG (On-The-Go) functionality. 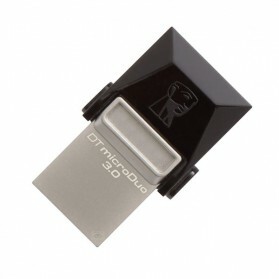 USB 3.0, Storage 32GB. 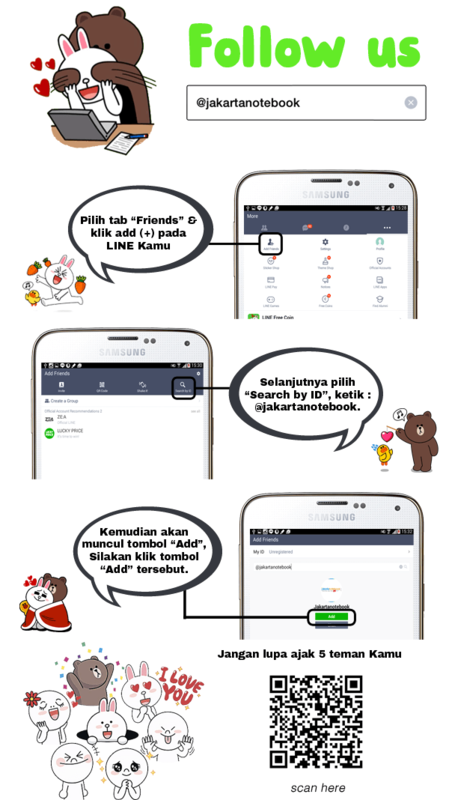 Claim Garansi harus disertakan box dan nota. Kingston’s DataTraveler® Mini 3.0 features a compact form factor that makes it the ideal companion for devices in which the USB ports are close together. It fits on a key ring or in a pocket to keep it accessible. USB 3.0, Storage 16GB. 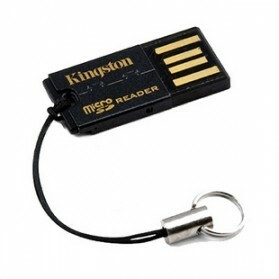 Kingston’s DataTraveler® Mini 3.0 features a compact form factor that makes it the ideal companion for devices in which the USB ports are close together. It fits on a key ring or in a pocket to keep it accessible. 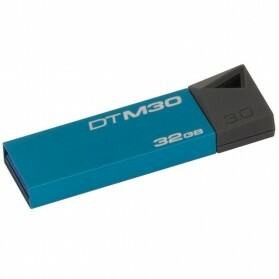 USB 3.0, Storage 32GB. 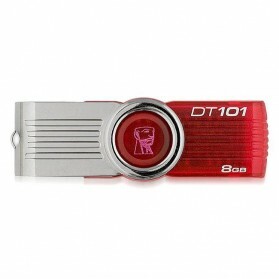 SE9 Flash drive has a stylish metal casing with a large ring so it will attach easily. The small form factor makes it a great accessory for notebooks like Intel's new Ultrabook as well as tablets that offer 2.0 ports. USB 2.0, Storage 16GB. 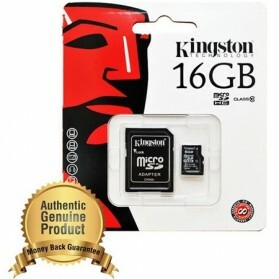 Enhance your mobile life with Kingston's micro SD / TF card. This versatile card expands the memory capacity of feature-rich mobile phones. Store more of your own collections of music, movies, video clips, pictures, ring tones and more. Class 4, 16GB. 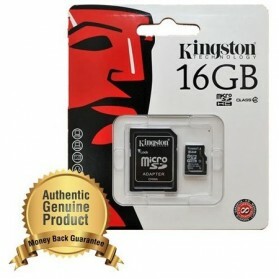 Enhance your mobile life with Kingston's micro SD / TF card. This versatile card expands the memory capacity of feature-rich mobile phones. Store more of your own collections of music, movies, video clips, pictures, ring tones and more. Class 4, 8GB. 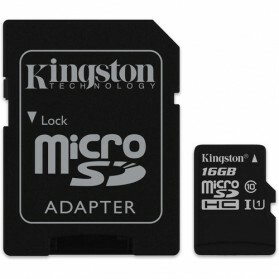 Enhance your mobile life with Kingston's micro SD / TF card. 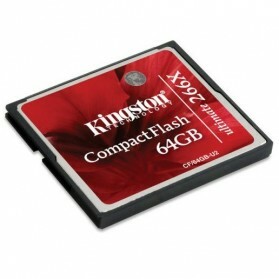 This versatile card expands the memory capacity of feature-rich mobile phones. Store more of your own collections of music, movies, pictures, ring tones and more. 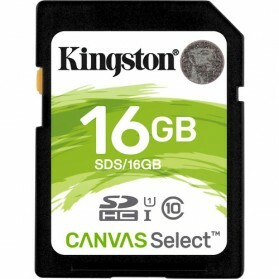 Class 10, 16GB.